The reality TV star and supposedly successful real estate mogul has, in a very short span of time, become United States favourite nightmare. Ever since he threw his hat in the ring as a presidential candidate, Trump has appended all notions of decency, civility, decorum and code of conduct. To him rules are merely suggestions that he could play around with. From his profanity littered speeches to his almost reality TV like campaign events Trump has captivated people like a Rahul Gandhi speech you can’t just stop watching. So, if one were to entertain the idea of Trump as President of the United States Of America, what would it mean for India? PM Modi has invested a considerable amount of time and political capital into Foreign policy. He has so far visited over 33 countries in an effort to build bridges that had almost vanished under the tenure of Dr. Manmohan Singh. One particular highlight has been the close rapport he has built with incumbent President, Barrack Obama. PM Modi pulled off a coup by getting President Obama as the guest of honour on Republic day. It also led to the resolution of the contentious issue of the nuclear liability law, which was the bone of contention between the two nations. Although not all is well between India and the US, relationships have progressed by leap years compared to the previous administration. Issues like WTO food subsidies and issues over IPR still however remain. Donald Trump is rather unpredictable. He is a volatile and a supposedly shrewd businessman but he has so far failed to provide a great deal of insights into his foreign policy other than “Bombing the of ISIS” but if one were to extrapolate using the pattern he has so far displayed it would be a morose and troubling period for US as well as the world. · India will have a far harder time dealing with US under Trump, given his policy inexperience and his tendency to look towards short term headlines. · Trump will most likely resort towards using inverted domestic protectionist policies to shore up his domestic appeal because that is how leaders like him stay favourable in the public eye. · His presidency would be also be one of the most uncertain periods for global institutions including the IMF, WTO, NATO and so forth over which US has maintained an iron grip. He might also use them as tools to pressure countries like China and India over labour issues and exports there by posing a sizable threat to India. · Trump’s presidency would also mean a great deal of uncertainty for the Middle East. It would also mean exposing hidden fault lines between nations, thereby putting India’s foreign and economic policies and relations under stress. · He has hinted at the US taking a backseat in the Middle East, but the deep nexus between the administrations and industrial military complex would not be broken so easily. It might also result in Trump using his Middle East policy to lash out at vested interests and his political opponents thereby further muddying the picture somewhat. 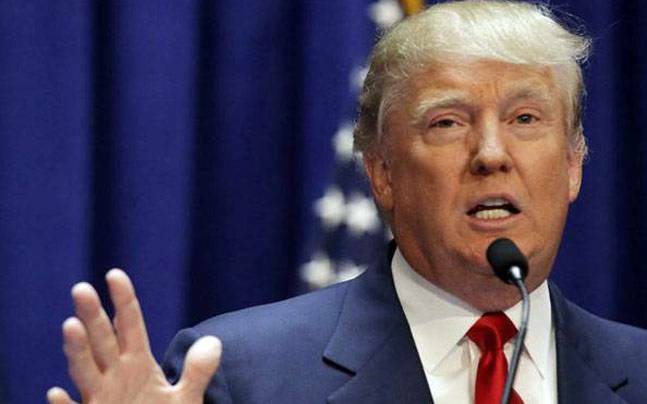 · Under Trump, India will also have to contend with the possibility of increased uncertainty over labour and exports which will severely impact the IT and Pharmaceutical industries. · It would also mean that India has to move towards building relations with China, rather than trying to counterbalance it like it is doing now with the help of the US. There is strong possibility of Trump bungling the South China Sea issue which will have an out sized impact ton India’s relationship with China. India will have to build bridges and strengthen its relations will all its closest allies and trading partners because an era of Donald Trump can very well be a terrible mistake the whole world will have to pay. At a time when the global economy is teetering on the brink of collapse, the threat seems more prescient. Hard Work OR Smart Work? How Green Is Our OT? Da Da Ding...did Nike get it wrong or right?